A new report says Americans connect more with the term global warming than climate change. But how we name the problem is just the beginning of the conversation that activists must force society to have. According to a new report by the Yale Project on Climate Communication, the term climate change is not the best way to describe what’s happening to the planet as a result of humans drastically altering the composition of the atmosphere — at least if you want people to care. But that’s not exactly a surprise. Climate change and the ambiguous picture it paints have been simultaneously lauded and derided by skeptics and denialists for years. What is surprising, however, is that the term more likely to elicit greater public understanding, emotional engagement and support for action is none other than its widely used predecessor: global warming. What does this finding mean for activists, who have built a movement around terminology like climate action and climate justice? Waging Nonviolence asked Patrick Reinsborough, Executive Director of the Center for Story-based Strategy, which trains activists to employ the power of narrative in their struggles. What can activists gain from knowing that Americans are more worried about global warming than climate change? The study suggests that for many audiences global warming is a better way to open the conversation than climate change. This is very helpful as long as we recognize that how we the name the problem is just the beginning of the conversation our movements must force our society to have. 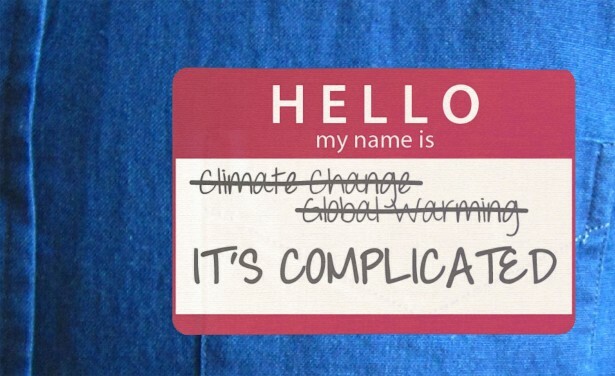 So there is more to effective climate communication than just terminology? A cautionary note we often provide as story-based strategists to our movements is: Words are not magic bullets. The power of effective framing is in creating shared meaning and ultimately to align people around shared purpose. Therefore, we need to make sure progressives don’t fall into the trap of thinking that just switching our language is somehow going to replace the role of organizing and movement building. For too long, progressives — particularly in the climate movement — have inaccurately thought that just communicating the facts would somehow make them meaningful to people. Instead, we need to show people what climate disruption actually means as both a threat and an opportunity. We need to bring climate discourse out of the atmosphere and down to the ground, where people can see how it affects them, and also critically see the diverse multitude of opportunities for collective agency in confronting what has historically been a very abstract crisis. How can activists do that? What kind of framing is required to help people reach that conclusion? The Center for Story-based Strategy prioritizes amplifying the voices of frontline fossil fuel-impacted communities, because we believe the front lines of the problem have a unique role to play on the front lines of the solution. As such, we are a part of the Climate Justice Alliance, which is using a just transition frame to expand the narrow, single-issue environmental framing used by everyone from Wall Street carbon traders to President Obama to well-meaning but shortsighted corporate environmentalists. Focusing too narrowly on the problem as climate is to miss the point and to open ourselves up to the false promises and techno-fixes that disaster capitalists are increasingly peddling. Instead, we must understand the climate crisis as a symptom of a deeper problem: The failure of our current globalized economic model and the undermining of democracy that allows the entrenched power of the fossil fuel sector to resist real change. When we start to understand climate-as-symptom, we are in a better position to shift the terms of debate in the direction it must move: toward the roots of the broader problem and the building of popular momentum for the transformation of larger systems, such as economy, energy and governance. All of these messages are embodied, which in this context should make us extra cautious about shifting communication strategies to pursue the latest polling data: appearing cynically manipulative, or grounded more in poll-tested messages than the real relationships at the core of our movements ends up damaging the work we do more (in my opinion) than word choice.